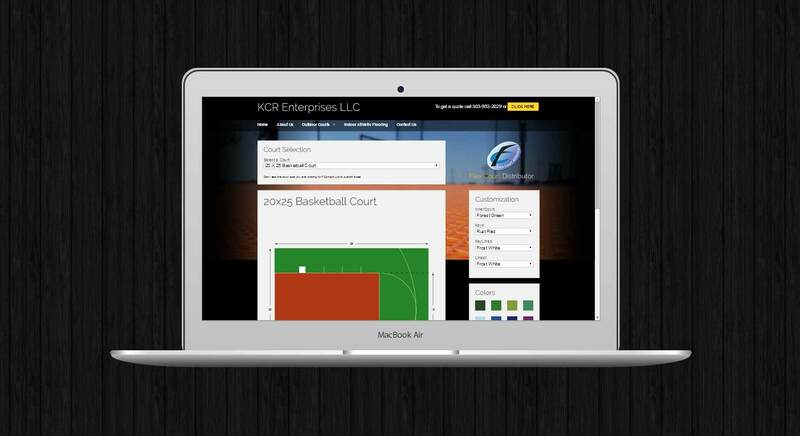 KCR Enterprises is a certified Flex Court Athletics dealer servicing the state of Colorado. They offer athletic court construction for a wide range of sports and activities as well as court resurfacing. 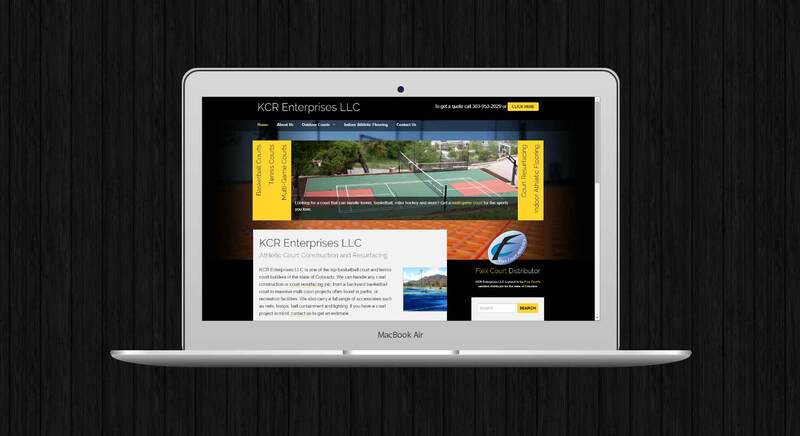 KCR Enterprises had a site built and marketed by an “SEO” company. 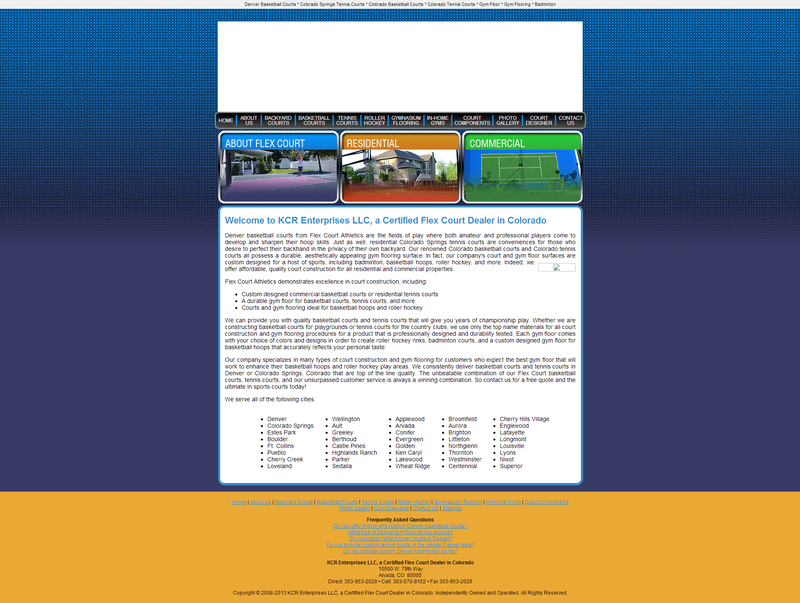 Their site no longer reflected their business accurately. Content was out of date and copied from the Flex Court site, as well as content from other dealer sites. Because of poor SEO techniques used in the past, with recent changes to search engines, this site, among many others, took a significant hit to traffic. A new responsive design was rolled out, and from what we can tell, it is the first one in their industry. 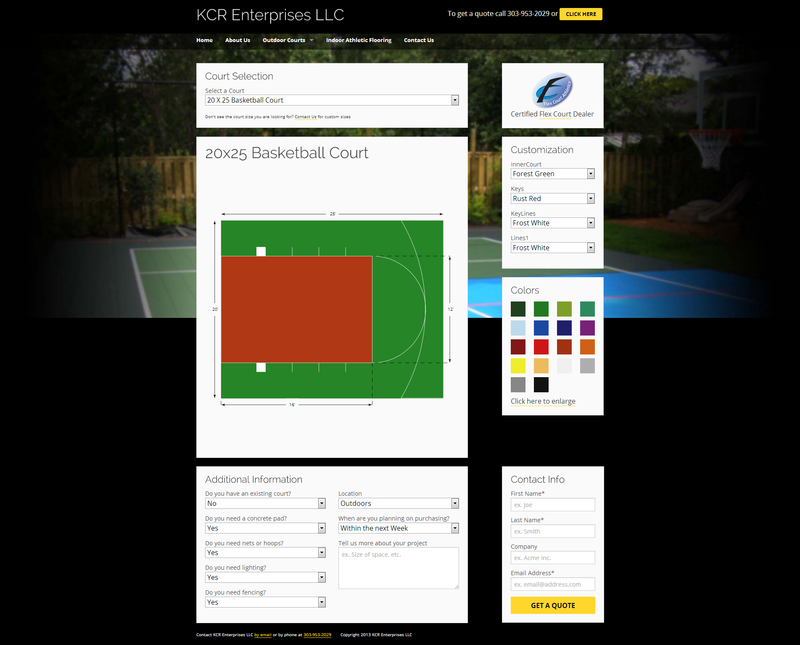 A “court builder” was created to allow visitors to put together a court in the colors of their choice. This court builder, like the responsive design, is an industry first, as others in this industry use Flash-based solutions. The domain name was changed to more accurately reflect their company, and also to shake some of the fallout from the poor SEO tactics that were previously employed. New content was created for all of the pages to replace the copied content and to better reflect the services they provide. While traffic hasn’t fully recovered from the initial penalties, there is significant and continued growth. More importantly, the conversion rate is exceptionally high compared to other businesses in this industry.